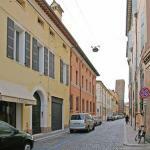 Ravenna is the most important city of art on the Riviera Romagnola. Monuments such as San Vitale, the Mausoleum of Theodoric and the Basilica of St. Apollinaris with its famous mosaics are among the most visited tourist sites by those who decide to visit Ravenna. 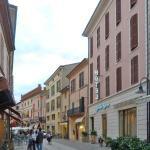 Most of Ravenna hotels are located in the historical centre between Via di Roma, Via Carducci and Via D'Azeglio, which are the main shopping streets of the city. 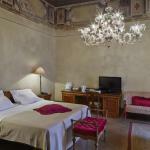 These are all excellent accommodation options, equipped with all the comforts for a pleasant stay in Ravenna, as 24/7 reception, Wi-Fi internet connection, rooms with en suite bathromms and restaurant serving local specialties. 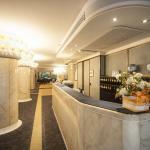 Ravenna hotels can also be an excellent starting point to spend a beach holiday on the Lidi of Ravenna, such as Lido di Savio, Lido di Classe and Punta Marina. 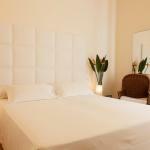 Right in the historical centre of Ravenna, just a short distance from the Basilica of the Holy Spirit and the train station, stands A Casa Di Paola Suite, elegant hotel with panoramic terrace. 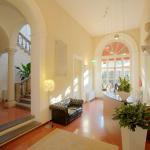 Right in the heart of Ravenna, in an area rich in monuments and shops, lies the charming Hotel Centrale Byron. 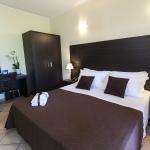 This 3 star cozy and comfortable hotel boasts easy access to the railway station and motorway.